Costs – Sacramento, California maintains a “world record”, and they need their residents to help them continue to do so. Find out what the costs are for tree and stump removal and tree maintenance so you as a resident can help the city maintain its title. FAQs – The “city of trees”, as it’s nicknamed, supports multiple species of trees, and the city encourages residents to continue planting more greenery every day to help increase the variety or increase the ones already growing there. 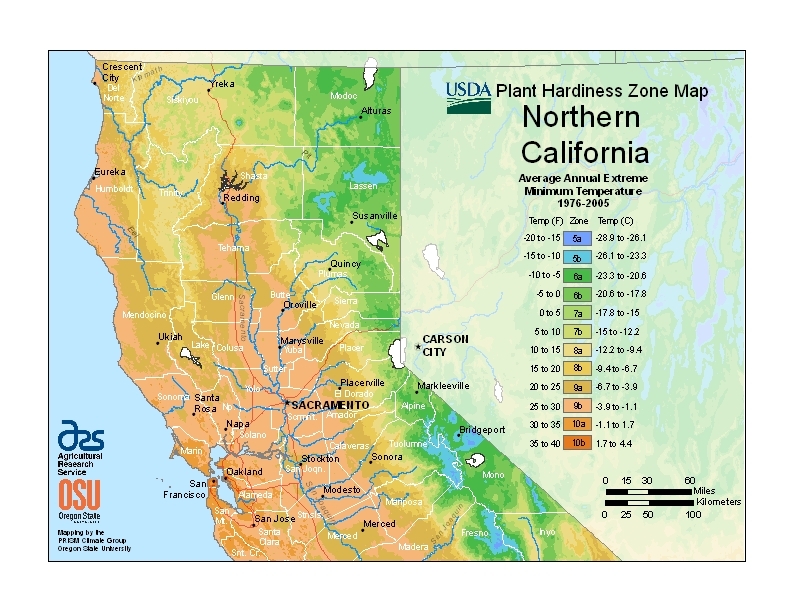 See what thrives in Sacramento, diseases to watch out for, the plant hardiness zone of the city and surrounding area, information on the state trees of California, and more! Services – Ready to start planting a tree or have the numbers needed to get someone out to prune or trim the trees already in the yard? Listed below are all of the tree service specialists in the Sacramento with their information. All you need to do is pick up the phone and call. How Much Do Tree Services Cost in Sacramento? Sacramento is not only the capitol of California but also claims to be the tree capitol of the world. According to an article by NPR, they have more trees per capita than anywhere else on the globe. This happens because they perform regular maintenance: trimming, pruning, cutting and even removal of a tree or stump when it’s necessary. Residents need to do the same in their yards as to preserve their trees. Removing a tree in Sacramento will cost homeowners between $626 and $842. This factors in height, circumference of the trunk, hours, general labor and hauling away the tree afterwards. The average quote will likely be $734. This does not factor in proximity to power lines or the home, which could increase cost if additional measures have to be taken in the process. Stump removal, whether it’s after a tree’s removed or separate altogether, will cost homeowners between $500 to $600 and could take two to three days, depending on how deeply the roots are in the ground, how wide the circumference of the stump is, and any other factors that might go into getting the stump out of the ground. Homeowners also have the option to do stump grinding, which will mean the stump stays in the ground but will be so low to the earth that grass can grow around it. Discuss this option with your tree service professional and see what works best for your budget. Tree trimming, pruning and cutting in the Sacramento area will cost homeowners between $830 and $970, depending on the type and number of trees in the yard for the tree service professionals to perform maintenance on. Unless there are special circumstances like power lines preventing them from doing a regular job, they will charge an average price of $900 for the work. In addition to having the most trees in the entire world, Sacramento is also home to a dedicated Urban Forestry department that wants to help residents get involved in the process of keeping the city covered with trees. They can always be contacted with questions and have services like trimming and removal open to help residents. It’s both their work and what the residents contribute in their yard that helps to keep the Sacramento the largest per capita tree capitol in the world. Sacramento only requires a permit for the removal of a tree on private property if it’s a heritage tree or an oak, since they are protected in the entire state. Your tree service professional will know if the tree is protected, but otherwise the tree can be removed without hassle. The best time to schedule a tree removal in Sacramento is during the late fall or the winter, when the tree will be dormant. It’s also the best time to consider heavy maintenance like pruning, trimming and cutting than during the spring. The Sacramento Municipal Utility District (SMUD) offers free shade trees to residents. They also have calculated the distance the tree should be from the power line, depending on the height of the tree. 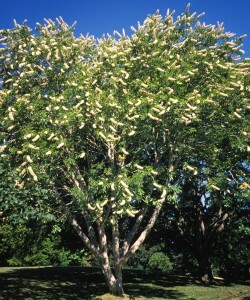 For more information on the types of trees the offer and the distance to plant them, see their Shade Tree Choices. Grapefruits, oranges, lemons, kumquats, Asian pears, oranges, apples, pomegranates, and peaches all thrive in Sacramento’s urban climate and enjoy the moderate temperature of the northern part of the state. As long as they’re trimmed and pruned regularly, the trees will yield good fruit for harvesting and enjoyment. Banana trees will be difficult to get through the first winter in Sacramento because of the frost that can come over them, unless residents build a greenhouse and grow them there. Any fast-growing trees are also not recommended because they are weak-wooded and can break easily in storms or high winds, which can damage homes and property even with regular trimming and pruning. 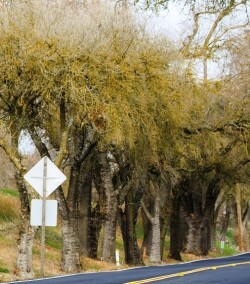 Elms are also difficult right now in Sacramento because of Dutch elm disease. The city had to cut down most of the “Victory Trees” on Freeport Boulevard because they had been infected with the disease. Dutch elm disease is a fungal disease that’s fatal and kills certain species of elm trees. It’s transmitted by a beetle, and the best way to get rid of the disease is, unfortunately, to remove the tree before the beetle spreads. Anthracnose is another fungal disease that causes leaf loss and keeps the tree from getting light and growing. Oak galls and worms are also pests that make themselves at home on oak trees but cause no permanent damage. Mistletoe is an infection that needs to be pruned off of trees to keep it from spreading, and it needs to be a community effort.